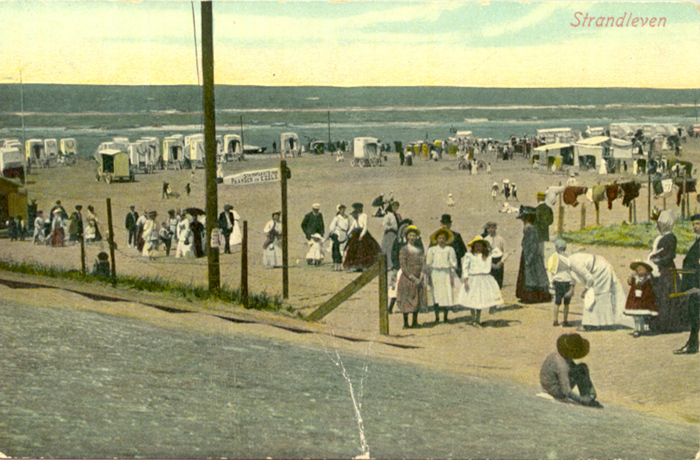 A view of the Strandweg circa 1905 – this postcard was sent to Leiden. 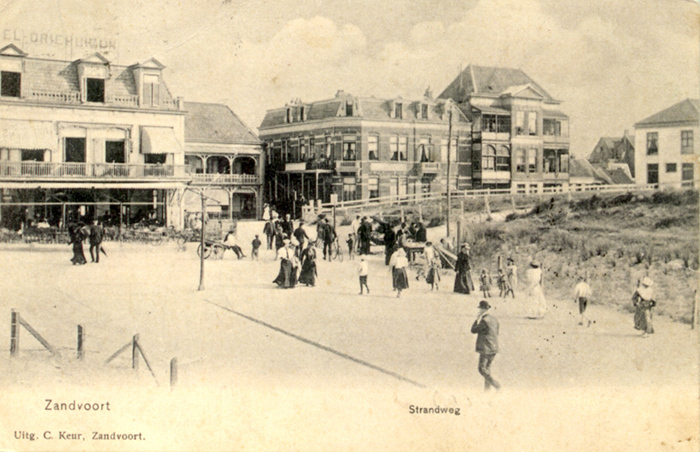 Notice the Hotel Driehuizen on the left of the photo – it is generally believed that the Germans used this Hotel as a brothel during the occupation before demolishing it in 1943. 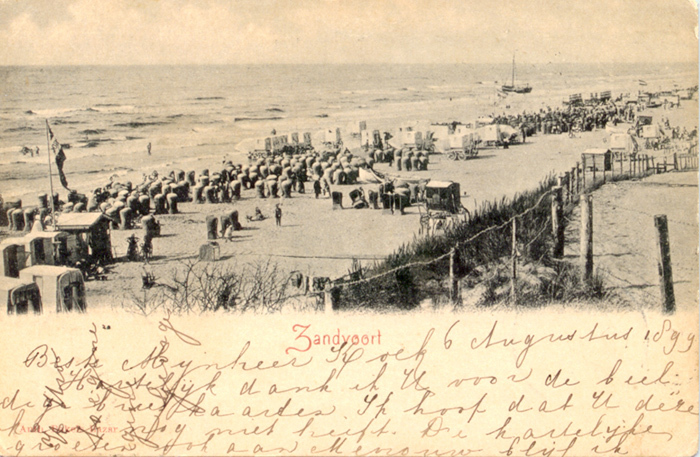 The original Strandweg – postmark on back dated 28th Aug 1905 – this was a main thoroughfare for all those wanting to get to possibly the most popular beach area. 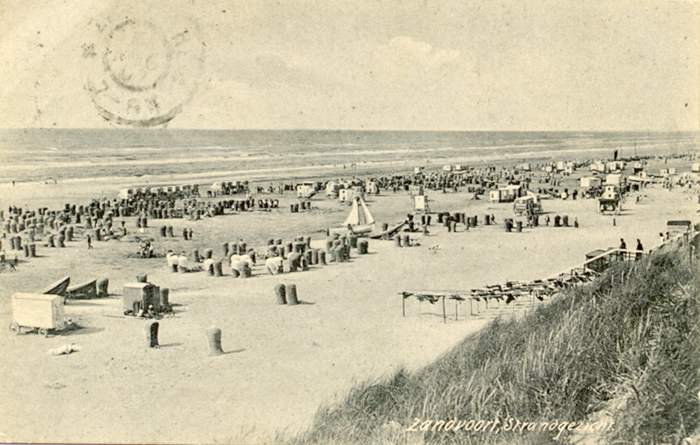 Zandvoort Beach – by the Strandweg. Notice the sign for the Hotel D’Orange over on the left of the picture. This glamorous Hotel was built in 1879 at the start of the Boulevard de Favauge. 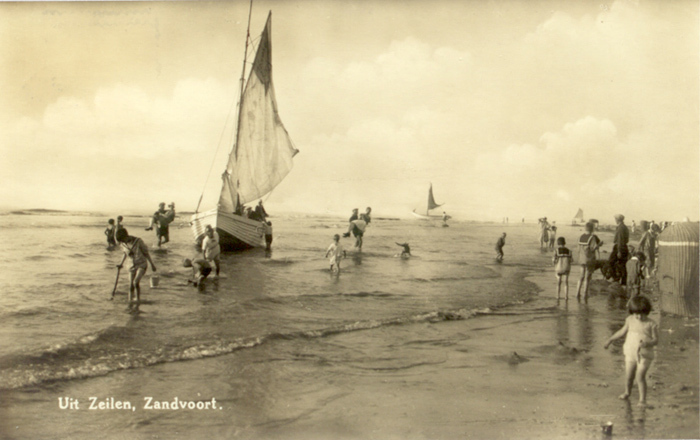 A boat on Zandvoort beach with children playing nearby. 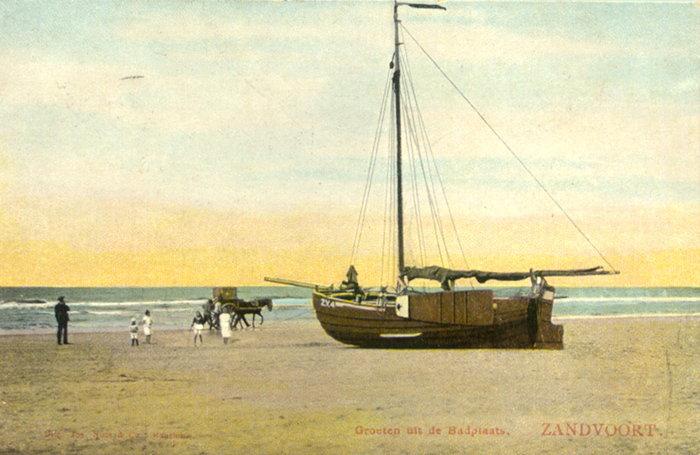 Even today boats of various kinds are a common sight on Zandvoort beach. 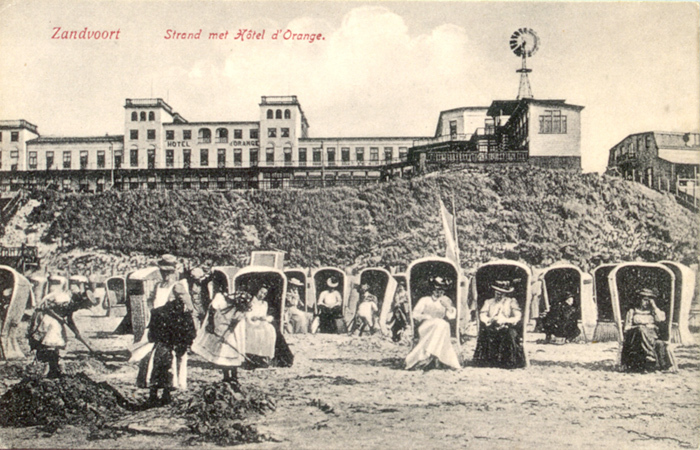 Zandvoort Beach – in front of the Hotel D’Orange in the background. This opulent Hotel was built in 1879 on the Boulevard de Favauge and was equipped with over a hundred rooms. 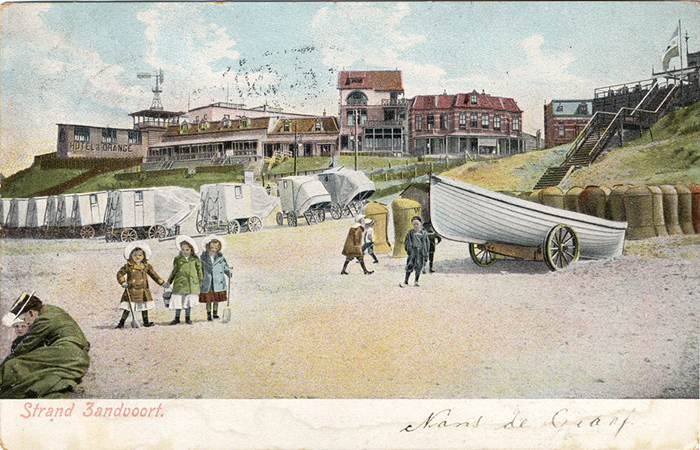 Three young girls pose for a photo on this early Zandvoort colour postcard. 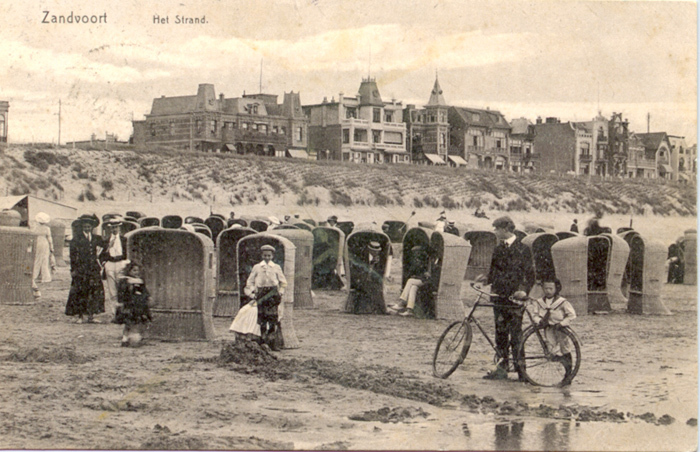 Notice all the huts scattered around the beach that people used to get changed. 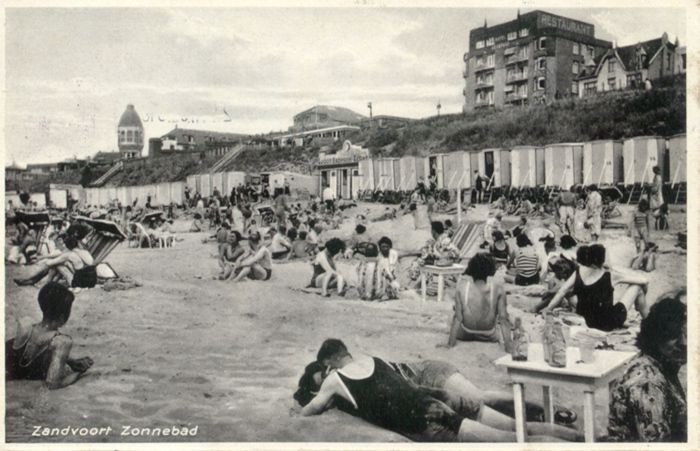 Beach scene probably in front of the Grand Hotel on the Boulevard Barnaart. The young man with the bike looks unsuitably dressed for wet sand! 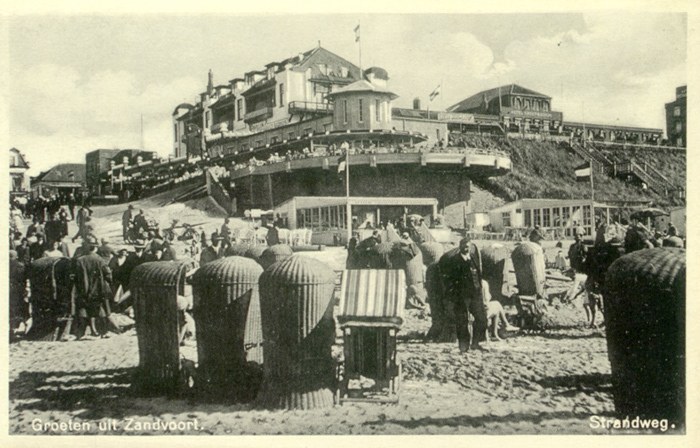 Strandweg again with Hotel Groot Badhuis in the background and the circular Rotunda which was rebuilt after the war. 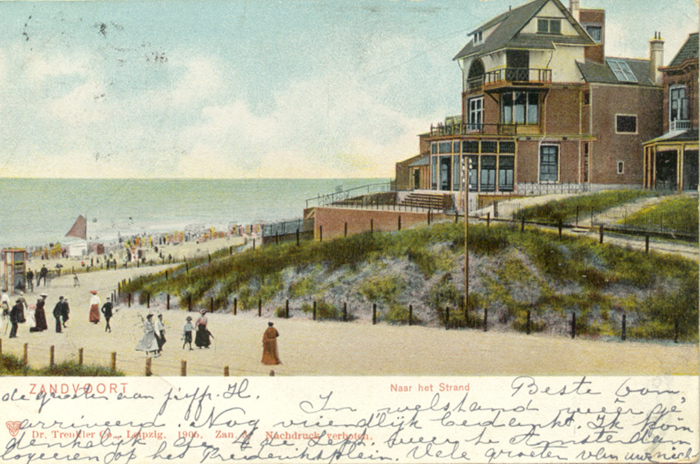 Postcard sent 27th July 1938 showing Hotel Groot Badhuis and old water tower in the distance. The young couple in the foreground are certainly having a fun day not long before the outbreak of the second world war!